because I took it from our new (new to us, anyway) boat! It’s a little powerboat that we can use to explore the bay, or just go for a watery picnic. Well, what’s the point of having a dock without a boat? 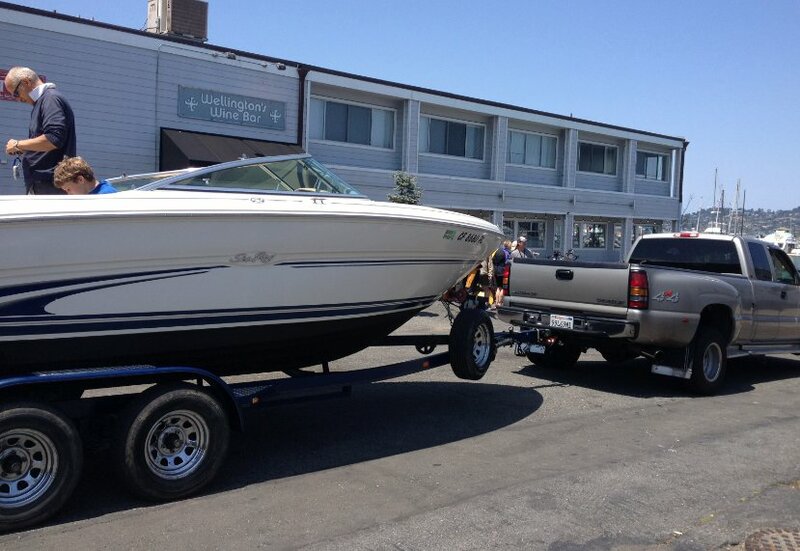 Taking delivery of the boat. It’s called Chaos. Seems appropriate.